Michael and Craig of AnchorFree tell us about their company and its more than 300 million customers that increase by 200.000 per day! They also talk about their vision, that is to sell everybody the ability to be private and secure in WiFi environments, by utilising encryption, regardless of the device and the network being used. They’re interested in selling their WiFi security application to big carriers, who will then distribute it to their subscriber base to making them happier – and this is one of the cases where what is good for the people, is also good for the carrier… Finally, they strongly believe that privacy enables innovation – you can only innovate when you have some privacy. So, in order to elongate innovation, privacy is a necessary component, a necessary element which, as they say, their products allow the users to have. Michael Geer wanted to be an astronaut when he was growing up; he even went to Georgia Tech University for aerospace engineering. He will one day achieve that goal but in the meantime, he has learned the consumer Internet industry from the ground up while helping build Badoo.com in Moscow and then set up the London office, constructing Badoo piece by piece scaling from 0 to 70 million users. He continued on to lead several more large global tech projects and mentors many startups globally. 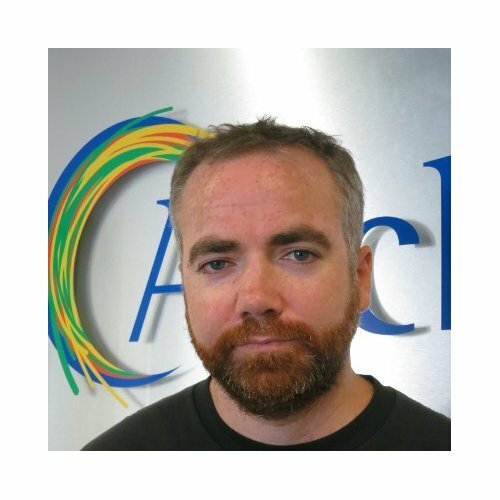 In his current role of AnchorFree COO, Michael ensures that all the talented teams at AnchorFree work effectively to achieve the company’s mission of providing a secure, uncensored Internet to a billion people. Michael believes the Internet's ability to distribute knowledge and real power can dramatically improve people's lives and works everyday to make this happen. Craig Vachon serves as Senior Director at Vinum Capital Management, LLC., as the Vice President of Corporate Development of Atrua Technologies, Inc., as Vice President of Corporate Development of AnchorFree Inc. and also as a Corporate Development Advisor. He has been a serial entrepreneur for 20 years and is a financing and M&A expert. Mr. Vachon served as Chief Commercial Officer of Immersion Corporation. Mr. Vachon serves as an Investor and start-up specialist for nascent technology companies. He joined Atrua with the acquisition of Varatouch and served as its Chief Executive Officer. Prior to Varatouch, Mr. Vachon led a number of enterprise software and telecommunication companies in the US, Canada, Japan, India, and the UK. He served as the Chief Executive Officer of Sirenic (sold to Lipworth Capital). Mr. Vachon served as the Chief Operating Officer of Nextel International Asia Pacific. as Vice President of Corporate Business Development leading an acquisition and strategic investment team for a US$1.8 billion roll-up of electrical and communications solutions providers. Mr. Vachon serves on the board of T&D Industries, TotalMass, Comvergix and Secure-a-Quote/Vantage Media. He served as a Corporate Development Advisor of AnchorFree, Inc. He served as a Director of New Business Development of AT&T Wireless/ McCaw Cellular. Mr. Vachon was an “Angel” investor in Varatouch since 1998. Mr. Vachon served as a Director of Varatouch Technology Inc. He was an instructor of business and organizational communication studies at Harvard University. Mr. Vachon holds a B.A. and M.A. from Emerson College.